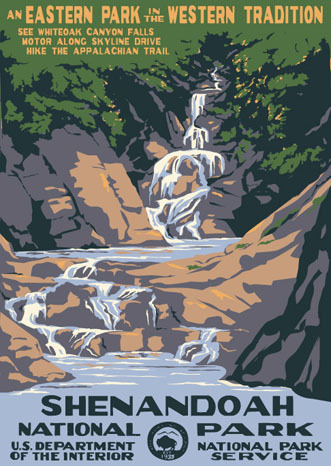 I’m heading to Shenandoah Valley this weekend for three days of bonhomie, BBQ and fly fishing with the family. I couldn’t help but find myself humming the familiar tune that I learned in an Ohio middle school. Here are three renditions–which one do you like? I’ve read so many of John Gierach’s stories about A.K. Best, fly tier and longtime fishing buddy, that’s its a sheer delight to hear him narrate this short film, An Honored Place. Best sounds exactly as I imagined he would. Nice trip to Morgans Run in Maryland today. 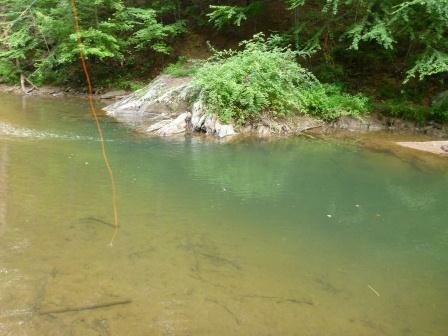 My bro and I were once again aiming for warmwater species with the remote possibility of a holdover trout. There’s a Special Regulation Trout area on the river, but there were no trout to be seen in the crystal clear water, just panfish. 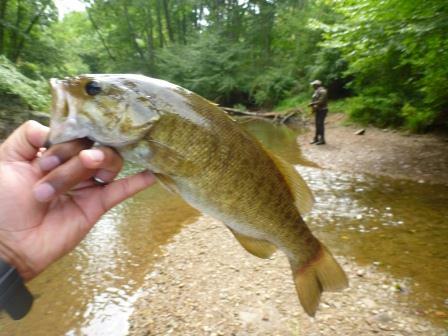 In fact, there weren’t many game fish at all besides a few juvenile largemouth and the occasional good-sized smallie in the deep pools. My brother was having a bit of an “off day”–you know–when you your knots don’t cinch, your gear fouls up or you lose your snips. And despite repeated casts we couldn’t get him into the pod of smallies we spotted. I, however, was a bit luckier. Though I probably shouldn’t have cursed at Mother Nature during lunch because a few minutes later the sky opened up and blew out the river for the rest of the day. It went from absolutely perfect visibility to the bottom of the pool to the color of a latte in less than 10 minutes. 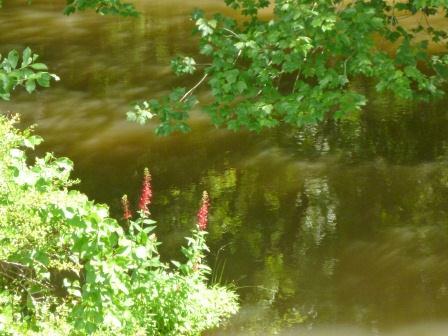 After the rain passed we ventured downstream to the outlet of the river chasing carp. I’m pretty sure I saw a musky jump clear out of the water about twenty yards below me. Unfortunately, we were out of time and I certainly didn’t have the gear for that. 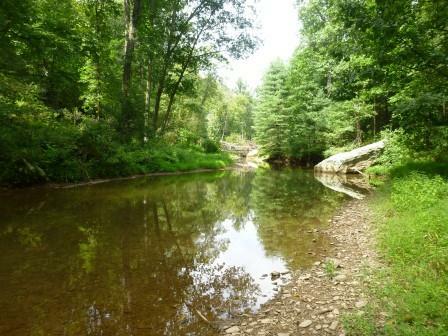 We’ll be back I think, after the fall stocking to see if things brighten up on this beautiful and remote little river. As a follow-up to my previous post on National Knife Day, I want to introduce you (and myself) to Council Tool. If you’re searching for a high-quality, handmade blade, axe or tool, with a venerable heritage check them out. The reviews are outstanding, particularly for the new Velvicut Hudson Bay axes (hickory shaft, 5160 grade alloy steel, life-time guarantee, excellent price-point). 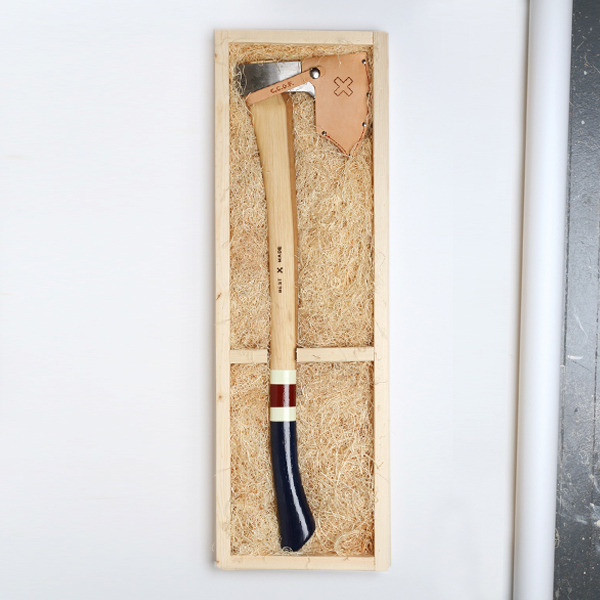 The Hudson Bay could easily become your go-to camp axe. “It all began with one person…John Pickett Council. 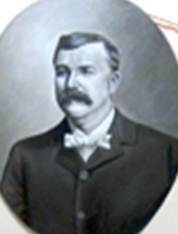 In 1886, he founded the business that still bears his family’s name. Since then, hundreds of committed, talented Council employees have followed in his footsteps and carried on his legacy. 1. Manufacture a quality product. 2. Offer value by being an innovative and progressive manufacturer. 3. Be straightforward and honest in your dealings. 4. Be a good corporate citizen. It’s National Knife Day, and while I’m not a collector, it’s worth pointing out that nothing, but nothing, beats having a quality blade when you’re in the field. And since at last count, I’m in the field roughly 60 days a year, I’ve become a believer in having man’s oldest tool close to hand. Whether you’re fishing, hunting, or going for a stroll in your neighborhood park, you never know when you’ll need a quality knife. Better still if it was forged right here in the US… As you’ll see, I’m not into all that tactical stuff, I love the quality and craftsmenship. 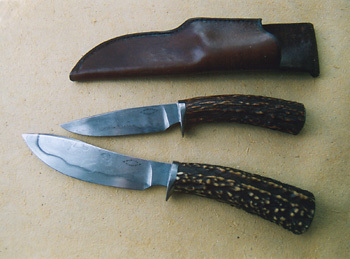 I’d like a Thomas McGuane IV (son of the wildlife writer) blade for Christmas, in case anyone who loves me is listening. I plan on picking up a “Sam McGee” Hudson Bay felling axe for myself for my birthday. And no, I don’t homestead living in urban DC, I just love the blade. Its handmade in North Carolina by Council Tool. Council Tool has been around since the late 1800s and their newest version of the Velvicut Hudson Bay axe gets a “touch-up” by BMA (new sheath, longer handle and paint job). While the original Velvicut Hudson Bay axes can be found at a better price point than the BMA axe, I’ll leave it up to you to decide. Here’s a good review of the original axe (starts around 17 min. in). I’d love to rummage through the William Brown Project’s collection if I ever get the chance. And Joel Bukiewicz’s fine work makes me want to quit my job and apprentice to a blacksmith. The missus and I hit the Hirshhorn Museum and the Renwick Gallery to catch the two hottest art shows in DC right now. 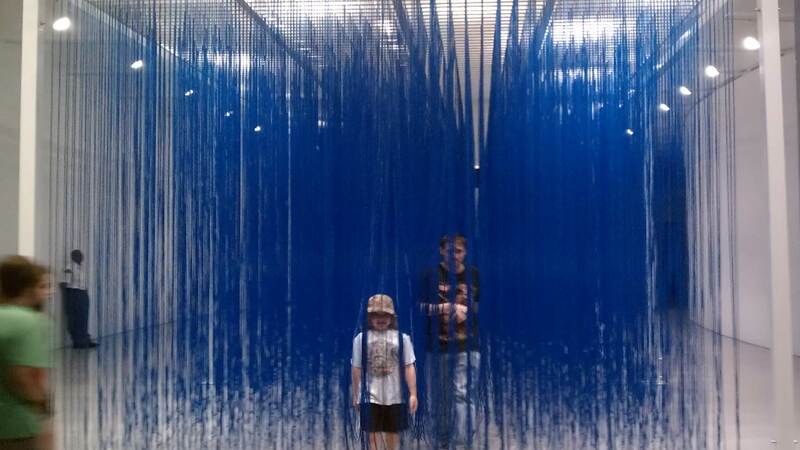 Suprasenorial at the Hirshhorn is just that–a bounty of well-organized and high quality “light and space” installation art from the 60s and 70s. Much of the work is interactive and I found all visitors young and old holding smiles from piece to piece. 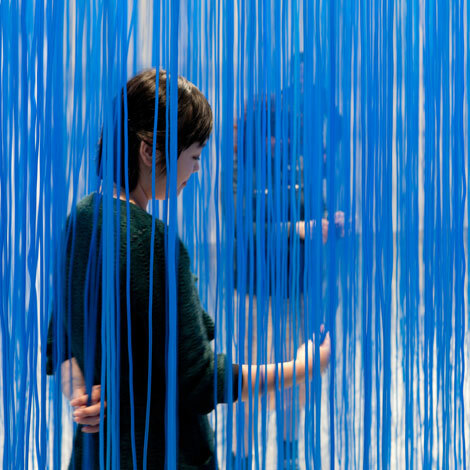 We delighted in the work of Jesus Rafael Soto, in particular, the installation of vivid blue cables that created a room through which you could walk, skip, or run (if the guard was looking the other way). I should point out that the accompanying microsite from the museum contains podcasts from the major artists, so don’t miss those. 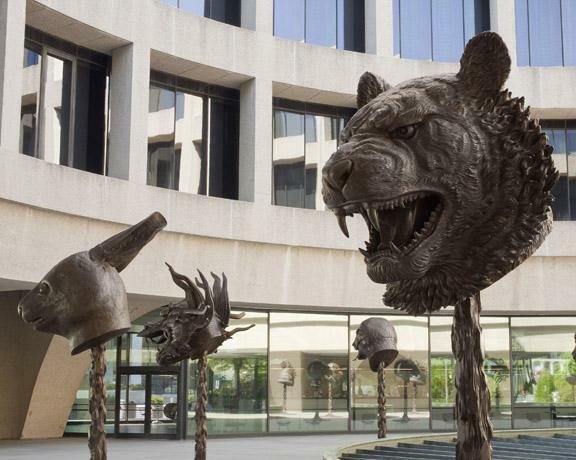 As you enter the museum, you’ll be deeply engaged right from the start by Ai Weiwei’s massive sculpture installation of cast animal totems from the Chinese zodiac. Every astrological beast is featured, and if you know you’re totem, you’ll be drawn to it. Mine is the Tiger. Overall the architecture of the Hirshhorn and the exhibit play together as you wind your way around the circular exhibit. My wife and I had to rub our eyes and get our bearings as we emerged. And that, we love. While the exhibit has received criticsm for its sensationalism, I would counter that there are plenty of exhibits on the Mall dedicated to contemporary art education from the view of the scholarly critique, there must also be room to exhibit contemporary art based on broad emotional engagement, and Suprasensorial delivers. The 40 Under 40 show on the contemporary American crafts movement at the Renwick Gallery is also interactive and much of the work is installation, but it differs from Suprasensorial in that its primary mission is exposure. The American “Maker” movement underway combines commercialism, art and craft–as well as an ethos of “made here”. The work isn’t always political or mysterious, but every piece we encountered carried Story. The forty artists were obviously born after 1972 and many have grown up with half their lives being dominated by war. One of the most potent pieces was by Washington, DC native Cat Mazza. 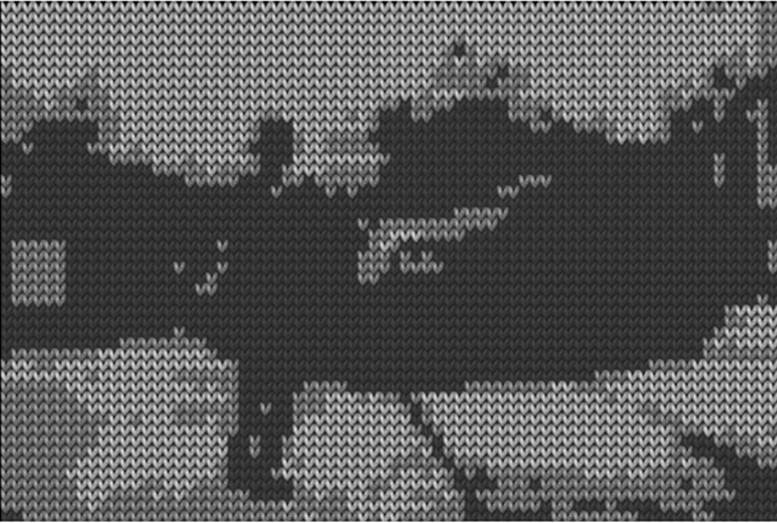 “Knit for Defense” is a digital video of black and white footage of soldiers marching and fighting, digitized to appear as animated knit scenes. Its hard to explain, but the footage seems to have been knit. As you recognize the imagery and action below the knit surface, it deeply affects you because you immediately assume the artist knitted the images. As you lean in, you realize the footage has been run through a digital application to create the special effect. Its astounding as your stereotypes, imagination, and memory come into play as you realize that the wars of the 2000s themselves have become one giant special effect, seemingly real and unreal as we watch them through the mediation of the internet, splashy fake-news channels like Fox, and are own interpretation. To each his own, but someday, I want to retire to a farm. I think my brother does too. It’s not so crazy when I look back at the family tree. Long line of farmers…of course, it’d help if there was a premo trout stream running through it. I am about to waste your Monday. After you watch these 3 films by Vancouver-based Ben Gulliver for Canadian surf/skate brand Sitka, you’re gonna wonder why the deck under your bed is dusty, the flyrod in the closet hasn’t seen a stream in months, and the board hanging above your sofa hasn’t been waxed in a dog’s age. Once this is over, you’re gonna want to pack the car and head north, or west, or south, anywhere but where you are. You will be dreaming of tall pine trees, golden bears, gorgeous barrels, and sun-kissed girls who skate better than you. You will want to light up and recall your halcyon days of youth when falling down and falling in love was the whole point. You might stand up at your desk and take a cheap shot at your boss and storm off heading for that forest you used to play in when you were ten before they bulldozed it to make endless tract homes. It wasn’t supposed to stay dry (we were expected thunderstorms with hail) but it did. It wasn’t supposed to be a lovely little stream, but it was. It wasn’t supposed to have any holdover trout, but, yes…it did. It wasn’t supposed to be a “great” day of fishing, but it was. 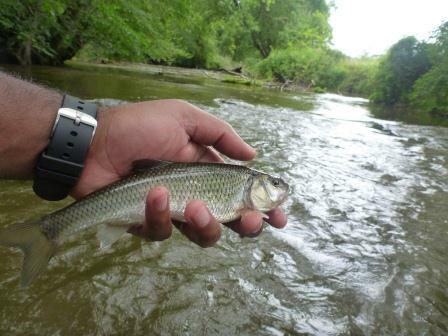 After nearly two weeks without fishing, I requested my brothers presence and we hit a small stream an hour from DC for a half-day of fishing. 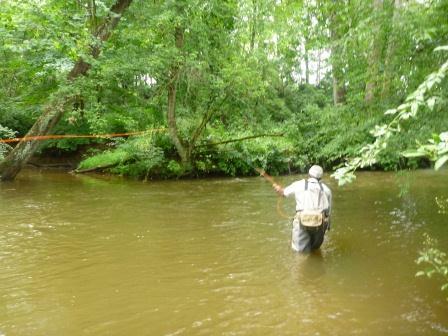 Now, mind you, its the middle of August, nearly 95 degrees, not the best time to go fly fishing for trout. We’d resigned ourselves to a day of warmwater happiness. The previous night had some weather and so the stream was cloudy. No problem, we’d throw big flashy streamers. 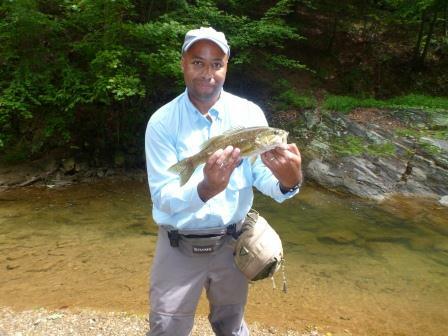 And though the stream’s stocked trout was supposed to be all but gone, we’d got word an authority that there might be a holdover or two…wayyyy back. Still, we expected and found, lots of warmwater fish. 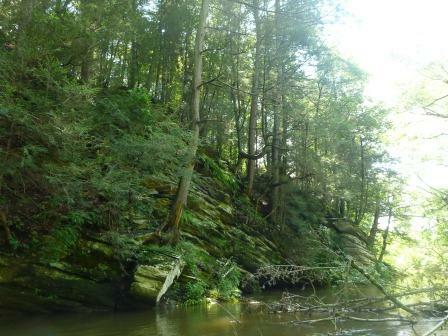 Among the high banks, past the stickerbushes and below the canopy, between the two of us, we each caught well over a dozen redbreasted sunfish, bluegill, crappie, bass, perch and fall fish. 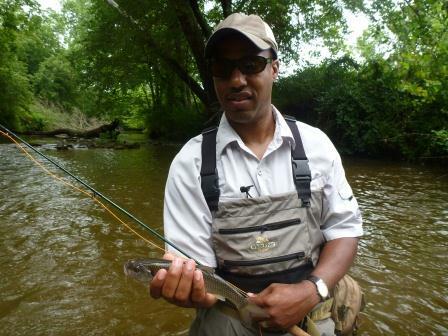 The fall fish were the most fun, sizable enough to put a bend in a 5wt and aggressive defenders of their pools. 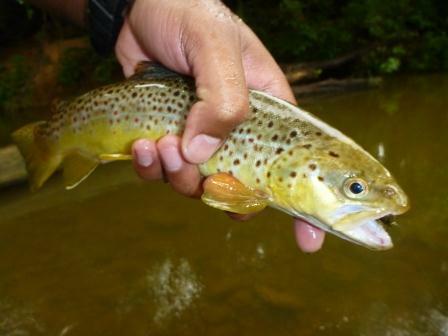 But the big surprise came from the brown trout we took in the middle of a stained pool on the bottom, clearly wild and stream born.